For you chocolate lovers, your dream Valentine’s Day dessert is here. 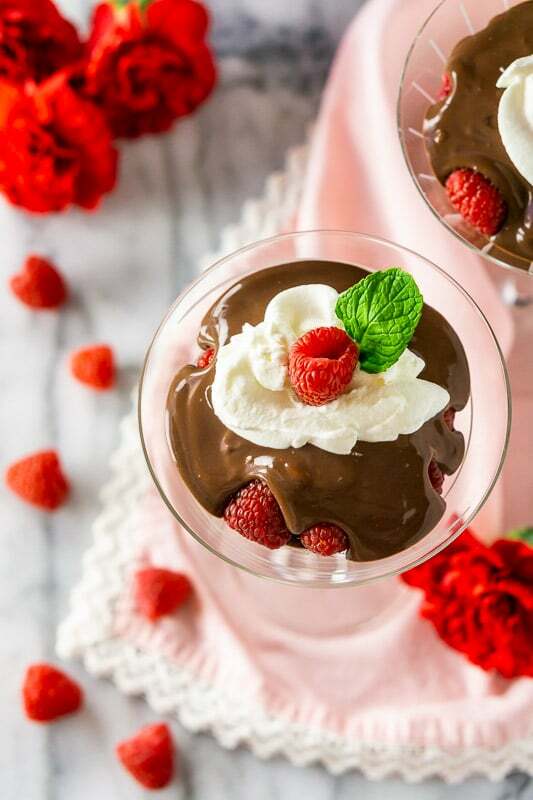 Layered with fresh, plump raspberries and a velvety, luscious mocha custard, this Raspberry Mocha Pudding Parfait is the perfect sweet touch to your Valentine’s Day celebration. I don’t know about you, but I love Valentine’s Day. Maybe Valentine’s Day is the cure for my post-holiday hangover. Or perhaps I love any excuse to celebrate with lots of wine and chocolate. Whatever it is, I love Valentine’s Day, and I always have such a blast coming up with a new dessert recipe each year. And I’ve got one for you today…an easy pudding parfait recipe. After all, what’s Valentine’s Day — or any holiday for that matter — without a decadent dessert? Celebrations call for dessert, and this chocolate pudding parfait recipe is just what you need for the occasion. 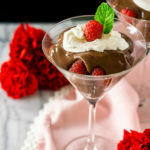 OK, I’m excited to share this Raspberry Mocha Pudding Parfait recipe with you so enough chit-chat. Here’s everything you need to make this pudding and fruit parfait. 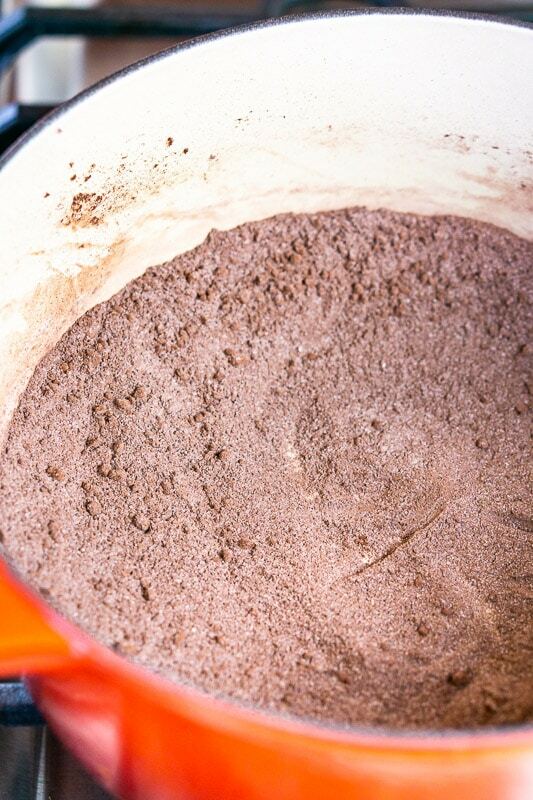 We start by whisking together the sugar, cocoa powder, cornstarch and espresso powder in a heavy-bottomed saucepan. Once everything is well-combined, we pour in the milk and heavy cream. The mixture will look like a clumpy mess, but keep whisking over medium heat until it starts to simmer but not boil, and it’ll eventually smooth out and look pretty like this. Now that our cream mixture is nice and warm, we turn off the heat and temper the egg yolks and vanilla extract. Basically, this means we place our egg yolks and vanilla extract in a separate bowl and scoop in a little bit of the warm cream mixture and whisk. We don’t want to put in too much cream mixture at once. About a 1/4 cup at a time works well. We repeat this process about three or four times and then add the egg mixture to the saucepan. This allows us to gently heat the egg yolks. If we were to dump the eggs yolks into the hot cream all at once, we could end up with bits of scrambled eggs in our pudding. No one wants that, so please don’t skip this step. With our eggs tempered and now in the saucepan, turn the heat back to medium and keep whisking until the mixture simmers and thickens. The mixture won’t be as thick as pudding quite yet but don’t worry. It’ll thicken up perfectly in the refrigerator. After the mixture thickens and comes to a simmer, we turn off the heat and stir in a touch of butter for good measure. From here, we pour our pudding into a bowl and cover the top of the pudding with plastic wrap. Don’t just cover the bowl. Make sure you actually cover the pudding with plastic wrap, which will prevent any weird skin from forming. Once the pudding has a chance to cool a bit, place it in the refrigerator for a few hours to set. Our pudding is now set, and it’s time to assemble our fruit pudding parfaits. Get excited!! We divide half our raspberries among four glasses and then layer on some pudding. Repeat the process and top with a dollop of a whipped cream and a mint leaf if you’re so inclined, though the garnish is optional. Now dig into the most delicious Raspberry Mocha Pudding Parfait dessert of your life and enjoy every moment! This fruit pudding parfait recipe is also perfect for kids. 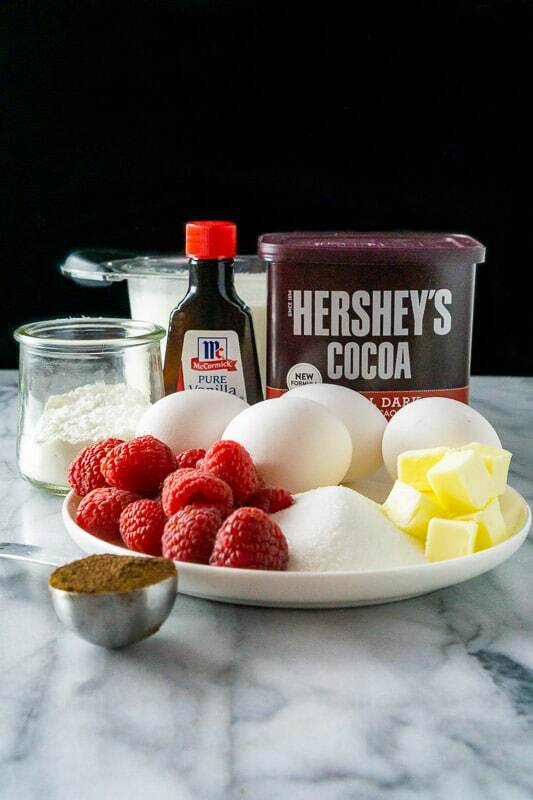 Kids love to help make easy recipes and this one is perfect for a Valentine’s Day sweet treat! This no bake pudding parfait has a flavor that is so deep and intense, everyone is going to enjoy! And the raspberries brighten things right up in such a lovely way! When heating the milk and heavy cream mixture, do not bring it to a boil. Keep it to a simmer. The proteins in milk can potentially break if it boils, leaving you with curdled pudding. Let’s avoid that. You can make this pudding up to three days before serving. While I recommend serving after chilling for a few hours, you could also serve it warm off the stove. The pudding won’t be quite as thick as it is after chilling, but warm pudding is also delicious, especially over pound cake. Of course, this mocha pudding is great in this parfait recipe, but you could also use it as a cake or cupcake filling with tasty results. 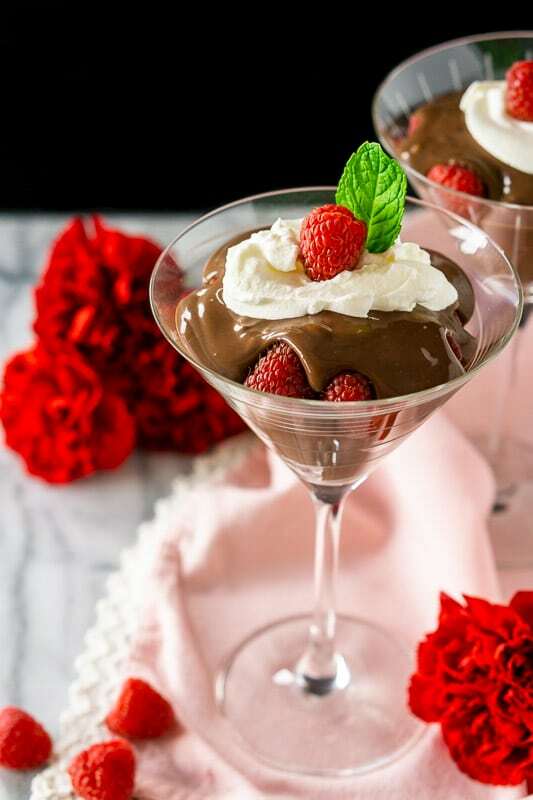 You can use your typical dessert serving ware, but I like to use a martini or wine glass for a fun presentation, especially for Valentine’s Day. In case you’re looking for a few other recipes to make your Valentine’s Day extra special, check out these recipes. Oh, and did you catch my minted cranberry Champagne cocktail here on Recipes Worth Repeating for New Year’s Eve? With its vibrant red hue and bubbly fun, it’d also make a great Valentine’s Day cocktail, and it’s not too late to pick up fresh cranberries from the store. Did you find this blog post and step-by-step instructions helpful? 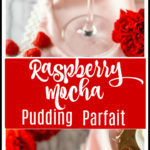 I hope you love this raspberry mocha pudding parfait recipe as much as I do. If you try it, you’re welcome to leave a comment and rating below. I love hearing from you! You can also sign up for my newsletter on my website here and FOLLOW ME on FACEBOOK, TWITTER, INSTAGRAM and PINTEREST to see more delicious food I’m creating! Have a lovely Valentine’s Day! 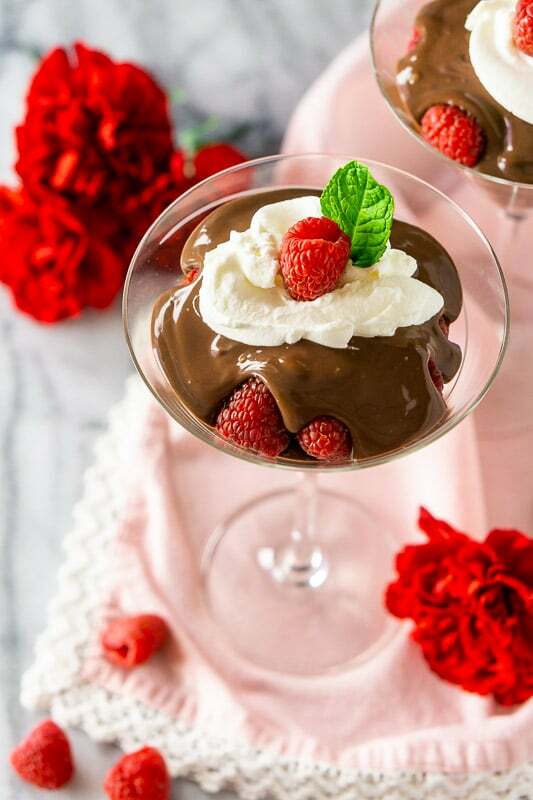 With layers of fresh raspberries and a rich mocha pudding, this raspberry mocha pudding parfait is the perfect dessert for any chocolate lover. 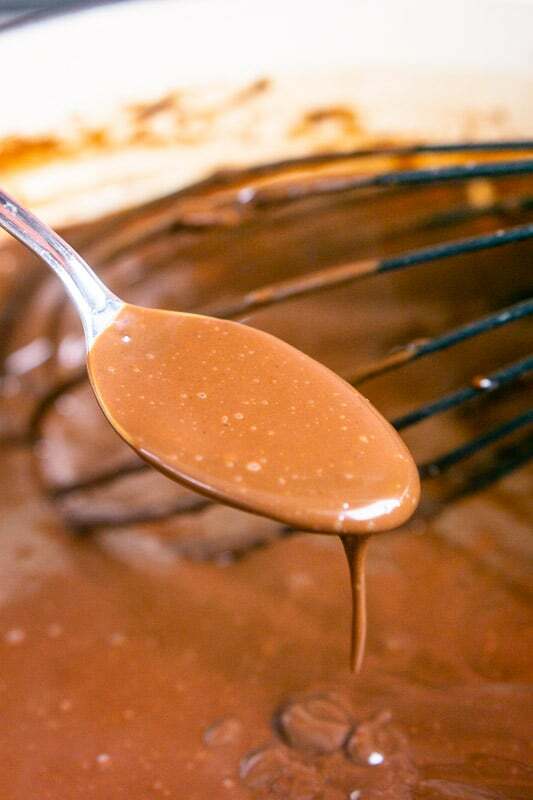 In a heavy-bottomed saucepan, whisk together sugar, cocoa powder, cornstarch and espresso powder until well combined. Add heavy cream and whole milk and turn on the heat to medium. 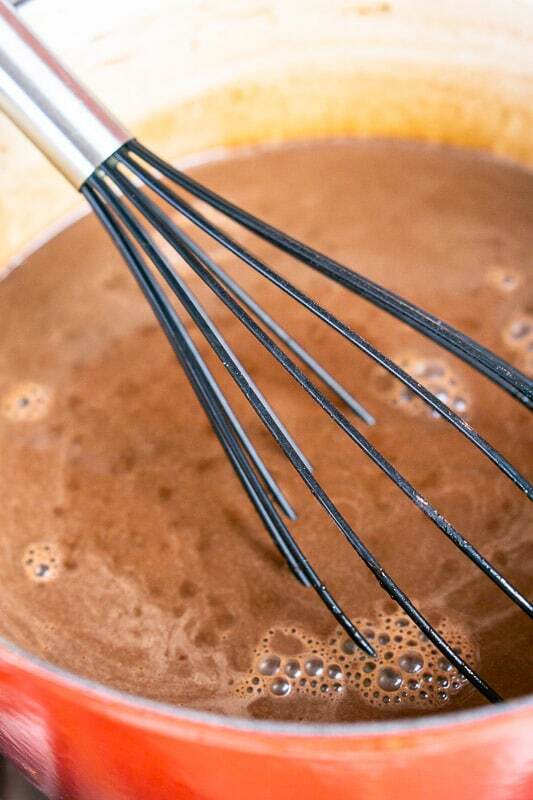 Whisk constantly until dry ingredients smooth out in the heavy cream and milk and the mixture simmers. Do not boil. Once the mixture simmers and smooths out, turn off the heat. 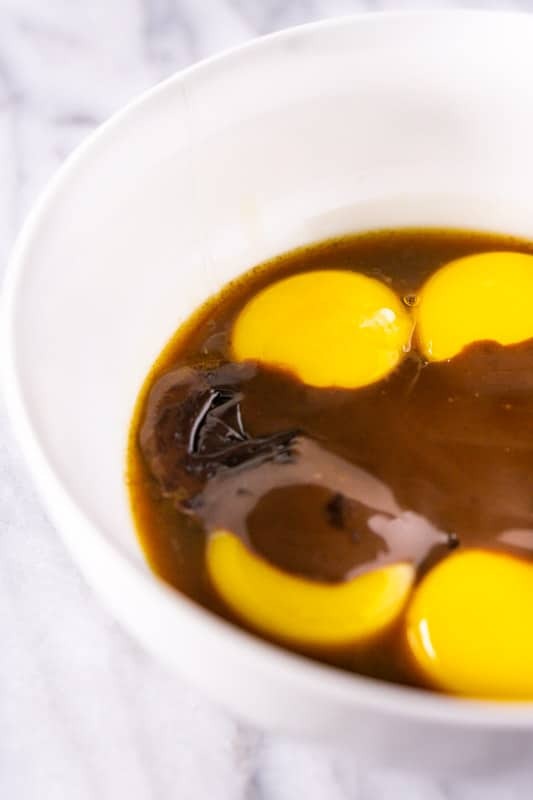 In a small bowl, whisk together the egg yolks and vanilla extract. Spoon in about 1/4 cup of the cream mixture into the egg yolks and vanilla extract and whisk until combined. Repeat three or four more times. Add the egg yolk mixture to the saucepan with the remaining heavy cream and return to medium heat. Constantly whisk until the mixture thickens and simmers. Do not boil. The mixture won't be as thick as pudding, but it will thicken as it chills. After the mixture comes to a simmer, turn off the heat and stir in the butter until it melts. 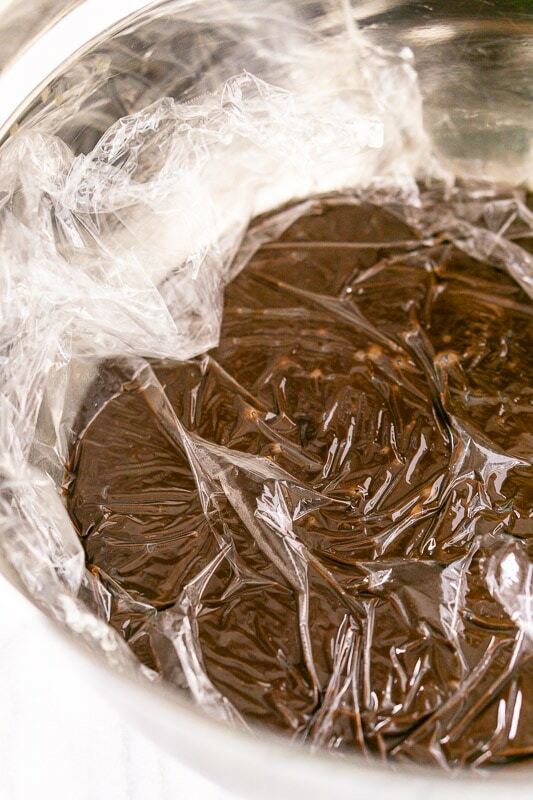 Cover the top of the pudding with plastic wrap to prevent a film from forming. Allow to cool and then refrigerate until it sets and chills, about four hours. To make the parfaits, divide one cup of raspberries among four glasses and top with pudding. Divide the remaining raspberries among the four glasses and top with the rest of the pudding. If desired, top with a dollop of whipped cream and mint leaves. This mocha parfait is heavenly for chocolate lovers and the fact is that so easy to prepare.